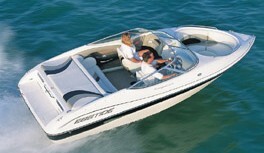 The entry level Bow Rider is an affordable runabout with the qualities of more expensive models. One of the things you notice when you drive an Ebbtide boat is not so much the noises it makes, but those it doesn’t make. The hollow thud of the hull hitting a wave top or the tinny splashing of water against the bottom are blissfully absent when you’re behind the wheel. 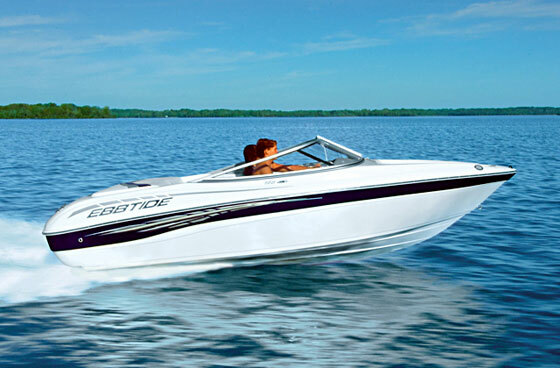 Of course, lots of manufacturers use sound-deadening materials, particularly in their premium models, but Ebbtide uses them in all its boats, even its entry-level 188 SE Bow Rider. 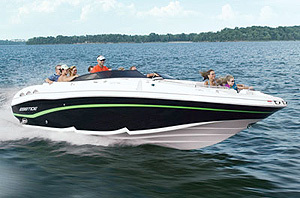 The Ebbtide 188SE is solidly built out of high-quality materials, despite being the builder’s smallest offering. It’s also offered in an outboard model. However, Ebbtide does more than just spray the inside of the hull with foam and call it good. Its process, called Dura-Core, merits some detailed explanation. First, the inside of the mold is sprayed with vinylester gelcoat, then topped with a skin coat of glass mat and AME 5000 resin. Ebbtide then adds a layer of Coremat before applying alternating layers of glass mat and woven roving. A layer of closed-cell foam is then topped with another layer of glass to create a sandwich construction. More foam is used on the hull bottom between the fully encapsulated plywood stringers. The result is a hull that runs quietly, absorbs energy and vibration, and ultimately is stronger. The console arrangement allows a good view of gauges and easy access to the controls. It’s refreshing to see such attention to detail go into an entry-level product—what is essentially a boat company’s least profitable model. 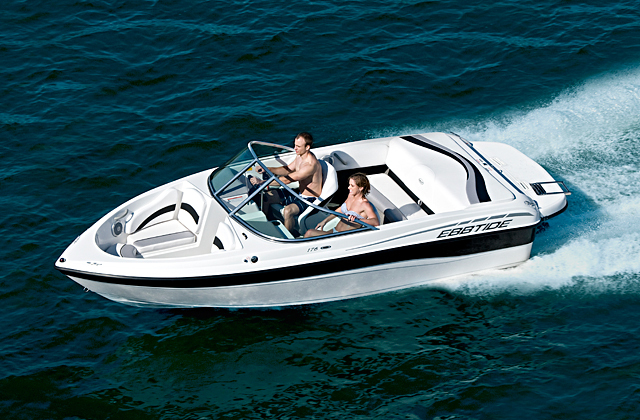 Powered by a 135-horsepower MerCruiser 3.0-liter four-cylinder, the 188 SE weighs just 2,150 pounds and has a base price of $20,875. An outboard model also is available. 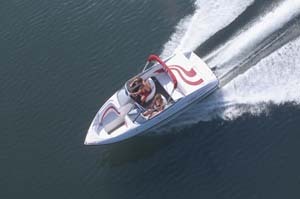 At the upper end of the engine option list lies the fuel-injected Volvo Penta 4.3-liter GXi, which stickers for $24,430. 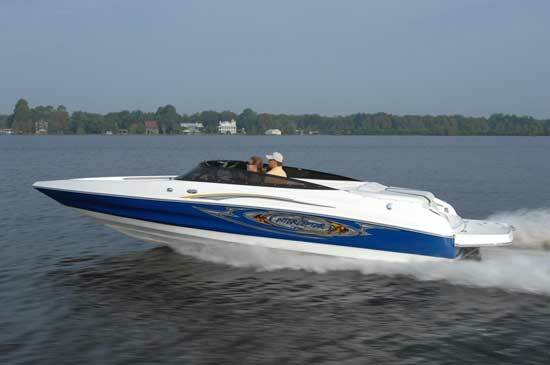 One benefit of the sluggish economy is that there are a number of MerCruiser engines still available without catalyst exhaust, and the 188 SE can be fitted with the 190-horsepower 4.3-liter Merc for a base sticker price of $22,465. 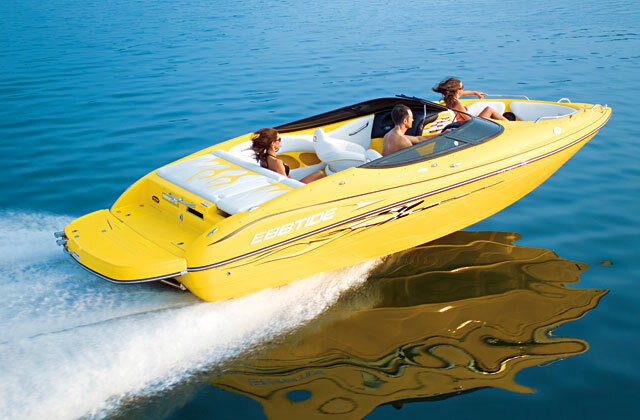 Of course, in many cases, when you start adding options to a boat, the price escalates quickly, sometimes to the point of being unaffordable to the market to which it’s designed to appeal. Not so with the 188 SE. If you add just a few options to the base model, it’s still a good value. 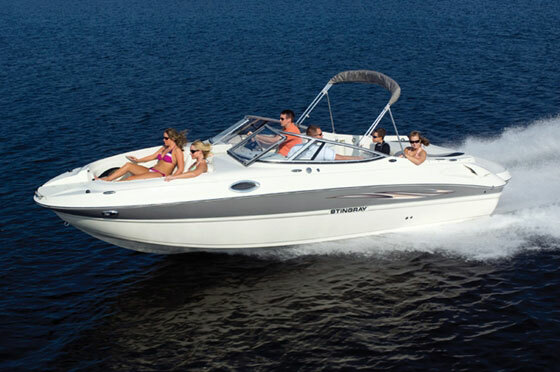 For example, a bimini top and boot add $635 to the price, and those are a must on hot, sunny days. 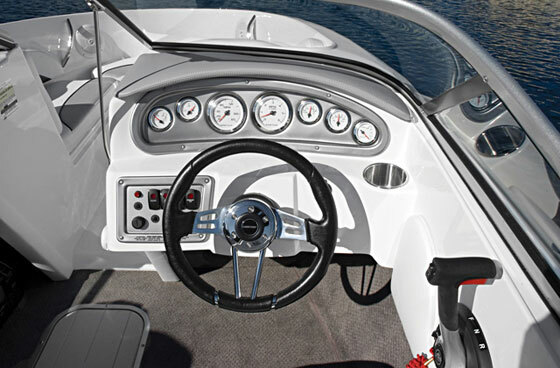 Most buyers also will want bow and cockpit covers, which add $685, but if the boat will be stored indoors you can go without them. Families with kids will appreciate the bow filler cushion for $345, and families with teenagers will want the digital media docking station for $210. We don’t quite understand why the windshield walkthrough latch is optional at $70—it should be standard—but we’ve seen enough rough water to know you must have it. Oh, and we also like a colored hull, which adds $585. So for $23,405 you can get an affordable, reasonably well-equipped boat that isn’t built to be traded in three to five years down the road, but built to keep. 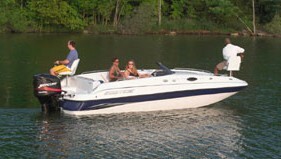 For more information, visit Ebbtide Boats.